Cool brands should look effortless. They shouldn’t look like they’re trying too hard. If it looks like you’re trying hard to come across as a cool brand, then that’s not cool. It just seems desperate – the opposite of cool. Being a cool brand suggests you offer something different, and are confident and relaxed about it. The key to effortless cool brands is authenticity. If you are faking it then people will know because it won’t seem natural. A typical mistake is latching onto all the latest trends. Your authentic character needs to permeate everywhere – not just on a logo or website. The first step is identifying your brand’s distinct personality and value proposition. Then you can make something that looks effortlessly cool and creates interest in what you have to offer. Lets use the PR sectors as a case study: many PR agencies try to look cool but have a formulaic logo and website. They copy an overused visual language to represent a cool or exclusive look, which comes across as fake and not cool. 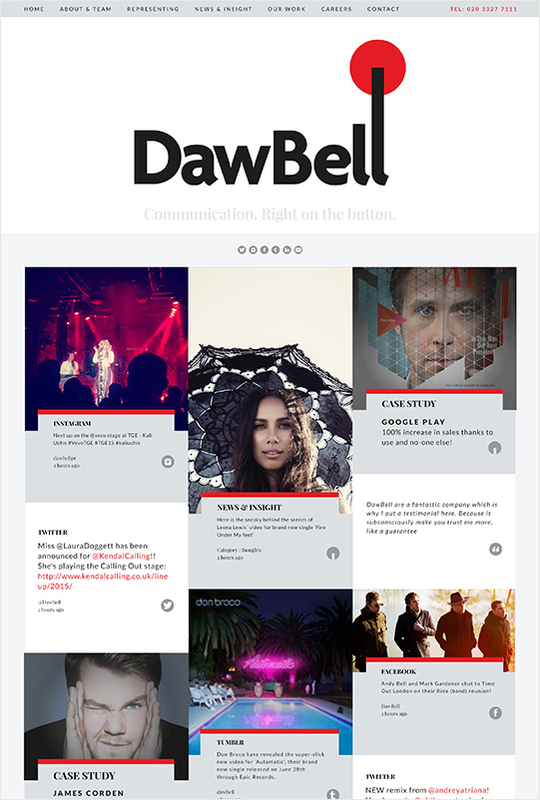 DawBell are the real deal – their first client was Sir Paul McCartney. They are trusted to protect and enhance brands but also keep them relevant. They have enviable access and influence. We developed authentic looking branding for them across the board, even down to their envelopes and coasters. We gave DawBell visual brand effortless cool that could be trusted. 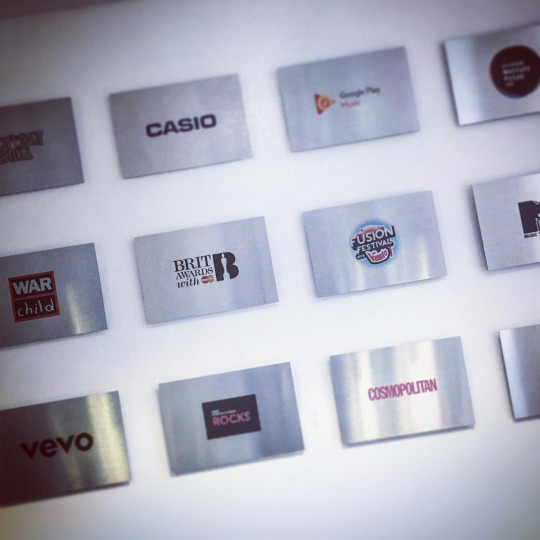 They needed a brand identity to show off their relevant, cool credentials but also be trusted by big brands. The logo design represents them as gatekeepers, with typography and graphic element combining like a bell being pressed by a finger. The black and red colour palette gives a bold mix of style and action. The logo accurately describes their proposition and looks unique to them, so it comes across as authentic. The bell graphic works as a standalone graphic with connotations to a power button. The tone of all balancing just right is essential – cool and trustworthy. We applied their logo and branding to their website design, stationery, print, promotional objects, adverts, email marketing and even created some decoration for their central London office (photo at the top of the page). Being relevant means online communications form a large part of what DawBell do. This meant that the website was central to their image. We created something relevant, impressive, human, down to earth and easy to navigate. Many PR agencies have social icons on their website but don’t actually demonstrate their communication skills. 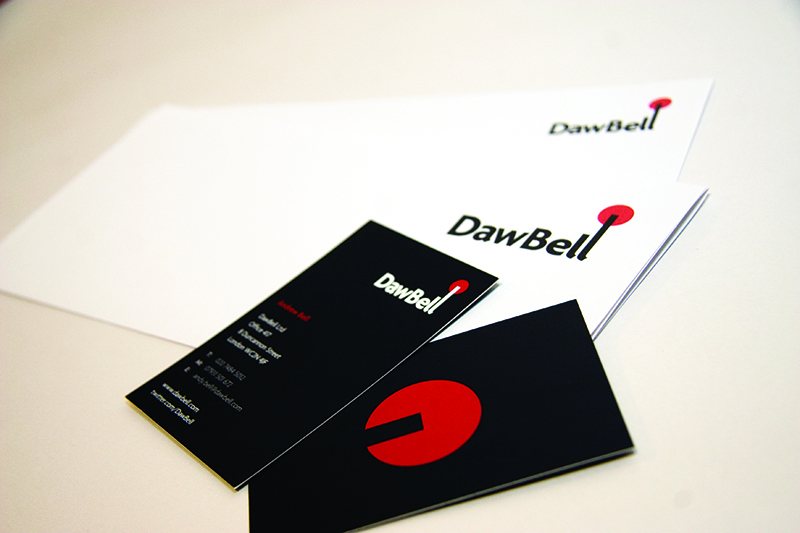 DawBell have a wealth of busy communication channels they work on, so we showed this. It demonstrates their skills in the most authentic way possible. The website pulls in live information from across different channels as well as providing insight about their staff and approach.